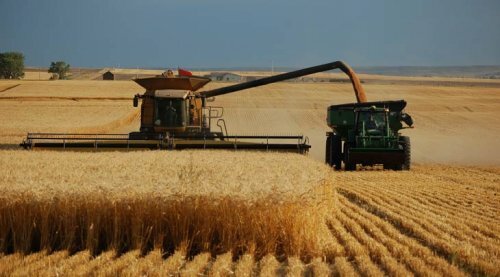 Brazil is considering granting an import quota of 750,000 metric tons of U.S. wheat per year without tariffs in exchange for other trade concessions, according to Brazilian officials. That is about 10% of Brazilian annual wheat imports and is part of a two-decade-old commitment to import 750,000 metric tons of wheat a year free of tariffs that Brazil made — but never kept — during the World Trade Organization’s Uruguay Round of talks on agriculture. Brazil’s Agriculture Minister Teresa Cristina Dias and U.S. Secretary of Agriculture Sonny Perdue are scheduled to meet on Tuesdays. In return, the Brazilian government is hoping to see movement toward the reopening of the U.S. market to fresh beef imports from Brazil that was shut down after a meatpacking industry scandal involving bribed inspectors.